Residential Services, Lakeland, FL | Johnson's Mechanical Inc. 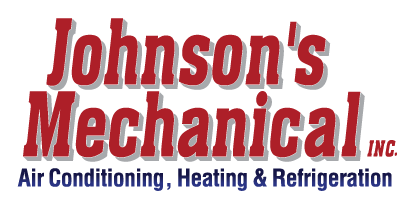 Residential Services, Lakeland, FL | Johnson's Mechanical Inc.
We offer a full range of residential services for HVAC systems in Lakeland, Polk County, and the surrounding areas of Florida. We can meet your specific needs and budget. For most people, their home is the biggest investment they will ever make. Not only is the cost of the home an investment, but energy costs associated with owning the home can also represent a significant expenditure over the course of ownership. For this reason, it is essential that your HVAC system is installed and maintained properly. This is where we come in at Johnson’s Mechanical Inc. We offer a full range of residential services for HVAC systems in Lakeland, Polk County, and the surrounding areas of Florida. We can meet your specific needs and budget. Some of the residential services we have to offer for HVAC systems include air conditioning installation, air conditioning repair, heating installation, and heating repair. We also service residential refrigeration systems, such as wine coolers, reach-in coolers, and chilled water systems. We realize that letting a technician whom you have never met before in your home and around your family might make you a little uneasy. To give you greater peace of mind, all of the technicians on our team have to pass an extensive background check, and each one has more than five years of experience in the HVAC and refrigeration industry. Our technicians are also extremely professional, friendly, and always put the needs of our customers first. We service all makes and models and are committed to providing you with the highest level of service time and time again. For more information about our residential services and what they include, please do not hesitate to reach out to us at Johnson’s Mechanical Inc. today.